It is always exciting to have our new members, 2011’s JAs, join our annual meeting, and share their experiences in this year’s APCC. 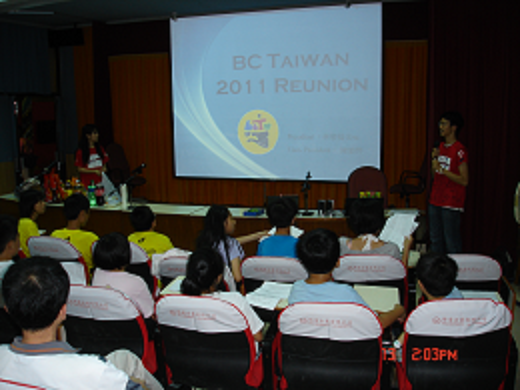 On Saturday, August 13th, bridge club Taiwan’s members from Taipei, Hsinchu, and Miaoli, gathered to Elementary School of National Hsinchu University of Education for their annual meeting. 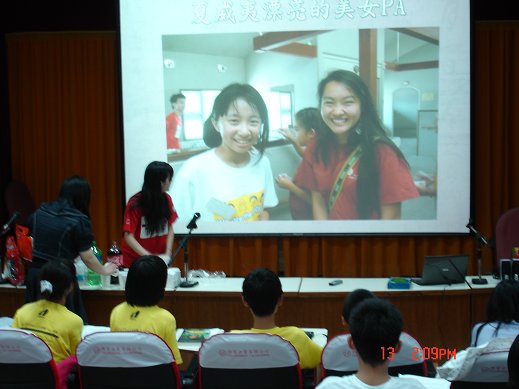 First, bridge club Taiwan gave their thanks to last year’s president, Hui-Ya Shen, and vice-president, Susan Wang, by giving them “Certificate of Honor”, in recognition of their outstanding performance, and high level of contribution. Then, this year’s JAs and PA share their experiences in APCC and PA camp. This year’s PA, Eric Lin, also talked about some important points he learned in the sessions, hoping that everybody can be meaningful to the world by the connection of Bridge Club. 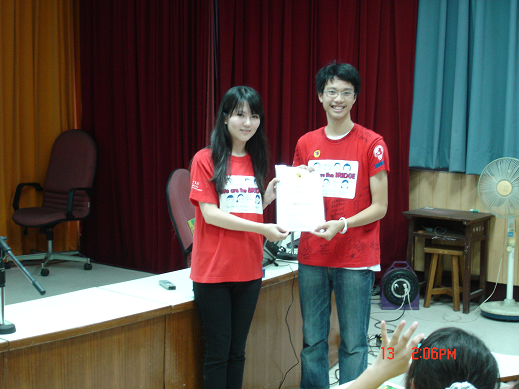 At last, 2011’s President, Eric Lin, also explained this year’s common activity: Everyday Ambassadors. 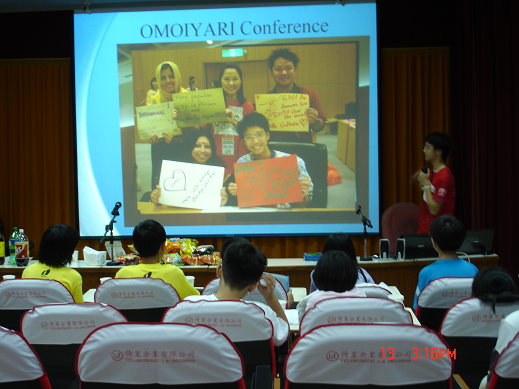 He talked about what this action’s meaning is, and how to achieve the goal of spreading the concept of peace and co-existence. 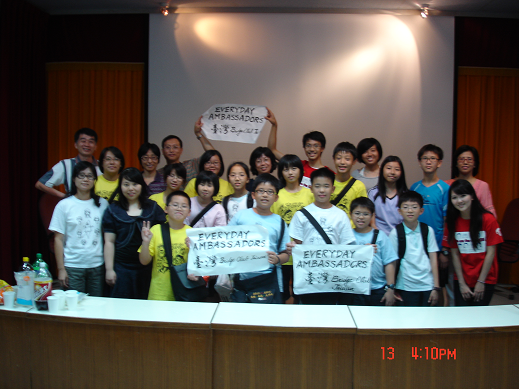 They also took a picture with a banner that displays “Everyday Ambassadors” in Chinese calligraphy.